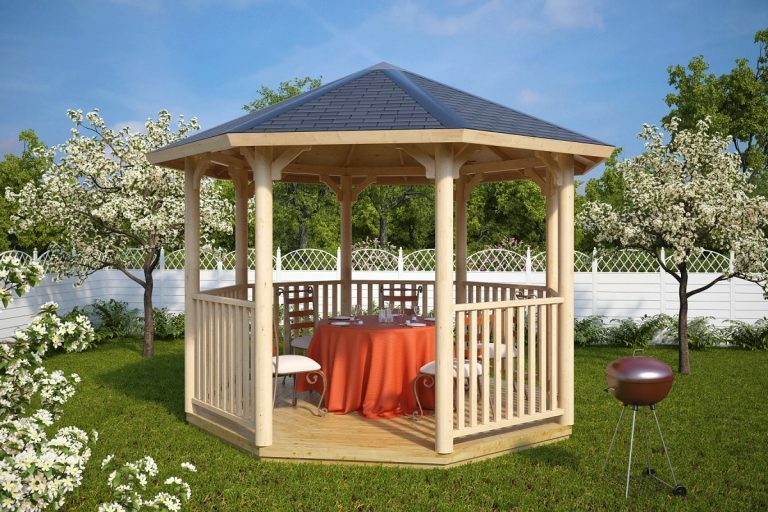 The Elizabeth wooden pavilion is an elegant, spacious and high quality garden gazebo. It will easily accommodate your family and friends. 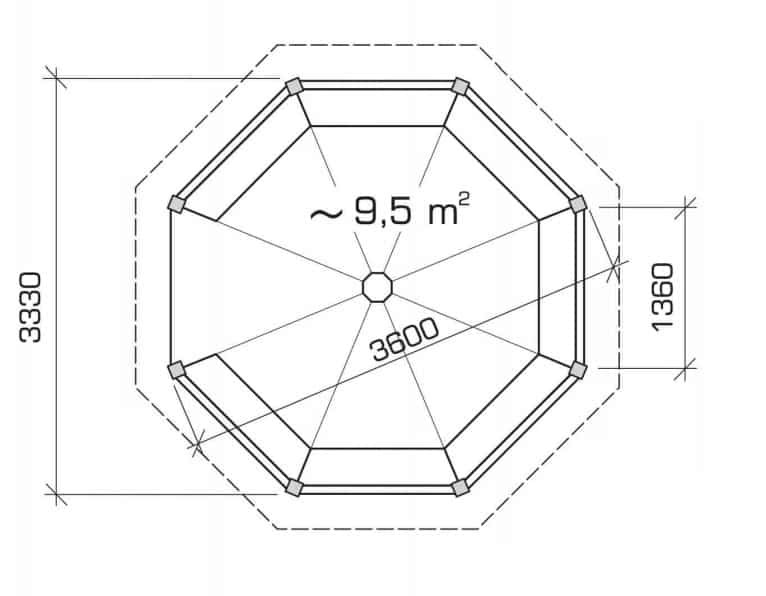 Constructed using thick 120 mm posts, you can be sure that this wooden gazebo is built to stand for years and years to come. The balustrades are very useful for families with small kids. They ensure your loved one is playing safely or sleeping outside, protected from the sun and safely guarded from seven sides. Number of balustrades: Comes with 7 decorative balustrades around the Gazebo. Additional information: Treated foundation joists, assembly kit, product manual, 5 years guarantee. Cat: wooden garden gazebos for UK.